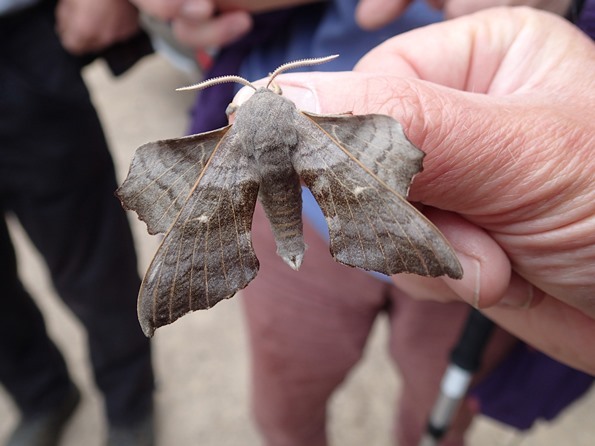 We are doing wildlife surveys through the summer.We are collecting data regarding the wild plants, butterflies and moths, birds and any other species we spot! It was a warm spring day and Linear Park is a regular transept for our butterfly surveyors to check during June and July. A large team assembled and ready to check the trails! May to early August. 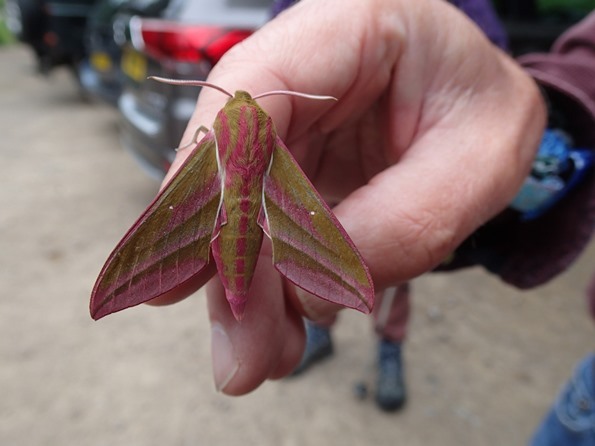 This pink and olive-green moth is named after the caterpillar’s resemblance to an elephant’s trunk. The adults are nocturnal, flying from dusk and coming to light, resting by day amongst its foodplants. They feed from honeysuckle (Lonicera) and other tubular flowers on the wing. A variety of habitats, often where Rosebay Willowherb is present, such as rough grassland, waste ground and clearings, hedgerows, heathland, sand dunes, woodland (rides and clearings) and gardens.